NEWS: British Airways has now changed the rules for what were called "I class cheapies". These were business class tickets at very low prices: these now require a Saturday night stay, and are no longer such a good deal if you want to increase your Tier Points. Watch out for BA's special offers. They normally come out on the 1st of September (sometimes October), the 1st of Jan, and the 1st of March. Here you can, for example, travel in the luxury of WTP to Australia for only £300 more than economy. Beware of the big red D on these flights that mean you cannot upgrade to Club World for love nor money. Not, that is, than you can ever find availability to some destinations for upgrades anyway. Another good deal is the promotion so that if you book a full fare business ticket, you'll automatically get upgraded to first, if theres room available. British Airways have some noticably cheap Club Europe (Business Class) fares from LGW. Bari is £129 (flights are only twice a week on Thursdays and Saturdays). Vilnius is £188, (five times a week), Dublin is £154, Marseille £147, Krokow £148, Bologna £158, Naples £194, Turin £148, and Genoa £129 in Club. 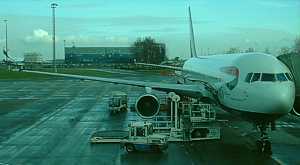 It is sometimes worth booking British Airways tickets at AmericanAirlines.co.uk. The fares can be cheaper - but you won't then automatically be able to use the features of MMB to select a seat, or online checkin. However if you then give the MMB page your PNR from AA, the booking will then appear under MMB. It can be quite hard to get up the tier levels of the BA Executive Club. Starting from scratch it is very hard to get to Silver level (which gets you into the lounges), and gold is even harder work. Just how do you get enough Tier Points to get Silver or Gold? There are other techniques you can use to get Tier Points. Many member of the British Airways Executive Club have discovered that one return in business (C) class on Iberia to Barcellona via Madrid comes in at around £210 in the winter (routed LHR-AGP-BCN-AGP-LHR) - and gets 160 points. It is a good start on the climb to Silver level, although it has been removed from the schedules this winter, as too many people were using it for just this trick. There are similar multi-leg hops on Iberia which also net Tier Points: Ibiza is always worth a shot, although connections are pretty bad, with either very early or very late flights. Another good trick to get Tier Points is to use American Airlines "Y-UP" fares. What are AA KUP and YUP fares? These are refundable economy tickets on AA that normally automatically upgrade into First class. Not only is it very flexible, it can be much cheaper than regular First Class prices on AA domestic. They have recently changed name from YUP to KUP. It books into P class, and the best part is, it qualifies for First class tier points on BA. For example if you fly LAX-IAD return you get 360 tier points - and it normally only costs in the order of 400 quid. 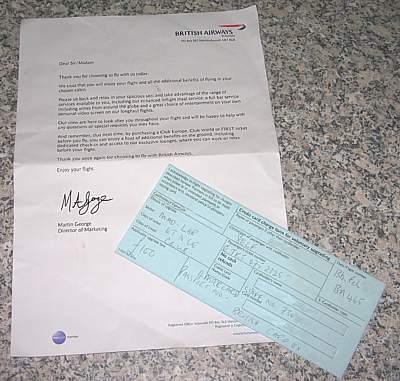 There are some techniques, and some pitfalls, in securing an ideal Y-UP fare to get BA Tier Points, and it's something of a black art, but many of BA's Gold Members only got there because they used AA Y-UP tickets, and often combine a trip to the US with a quick AA YUP Tier Point Run. YUP runs have a huge following in the UK, because First Class flights more than 2000 miles get long-haul Tier Points, and the fastest way to the heart of a BA Exec Club member is to offer them 600 Tier Points (and Silver) for virtually nothing. Just make sure each sector is over 2000 miles long to qualify for long-haul tier points. Flights less than 2000 miles get 60 TPs in F, whereas flights greather than 2000 miles get 180 TPs in F.
Major pitfalls include the way that you're only guaranteed First Class if your flight runs as scheduled, and there isn't massive overbooking. You can get bumped, and you'll immediately be dumped into Y or economy class on another route to your destination. The AA boarding pass will show "Invol Re route", and BA will then give you economy points. Only the brave will attempt a YUP Tier Point run in winter when snow can play havok with schedules, and runs out of SFO are very risky due to fog. Equally avoid tight connections from international sectors. The fares - and tier points - for a three sector run from SFO to MGA (Nicaragua) look great (560 Tier points for only about 900 dollars if you route via LAX and Miami) but immigration at Miami can be a nightmare, and if you miss the tight connection to JFK, you'll end up firmly in economy on the next route to DFW. Also beware the way that although AA normally operate two class planes where the cabin up the pointy end is called First. There are some exceptions, such as the three class "Flagship Services" between JFK/LAX/SFO. These YUP fares ticket into business class, and only earn 120 points each way and 125% mileage. For SFO-JFK look for the 763 service, which is two class unlike the 762. On the 763 YUP books into P class and earns 180 TP as opposed to 120 for I. Also, the 767 in F is a much much better plane than the 757. Never book Alaskan flights, even on the AA codeshare, for a Tier Point run. The amazingly cheap fares from SFO to SEA via LAX (around $700 in F) look tempting, but all the LAX-SEA flights are AS flights with an AA number, and you won't get the points. Curiously, the SFO-LAX-SEA run earns full miles & 300 status credits on Qantas, so you might be better at looking at status on Qantas instead. Avoid trans-American routings that go via DFW or ORD. These bring the flights down to less than 2000 miles (SFO-ORD is only 1843 miles), and dramatically reduce your Tier Points. For example SFO-ORD-MIA is 60+60=120TPs. However SFO-LAX-MIA will get 60+180=240TPs. YUP fares from JFK to HNL come in at around £780 and intelligent routing (eg. via SJC) can yield four A-class sectors of over 2000 miles which bring in 720 tier points. Obviously, you still need your 4 BA sectors to qualify for silver, but if you combine this with a cheap off-season WT+ fare to do the Transatlantic hop you're looking at 870 points for about £1400 (and a trip to Hawai). You can book YUPs on aa.com, where there is usually an option called "Instant Upgrade". Farecompare is a great site showing the cheapest YUPs from various airports in the US. If you book via via Expedia, choose first class and the cheapest fares on AA should be the YUP, but with some restrictions, but you're normally better off on the AA site. One last warning: beware of BA's wacky rule that when you reach Silver after having been Blue that your Tier Points reset & your new mileage year starts. And points from the flight over the 400 or 600 level are lost forever, and there is no way to get them back. Also beware it can take several days for the level to reset, and if you're on a Tier Point run at the time, you'll loose all the subsequent Tier Points. You should get all the subsequent ones back if you put up a fight, but it can be a major nightmare, and there is no way of claiming back the points from the run that put you over the limit. This is particularly gauling if you're at 590 Tierpoints, and complete a 180 TP flight. You loose 170 TPs, and they are gone forever. One of the common questions is "How do I get an upgrade on British Airways to Business or Club class?". Alas, getting upgraded to business class on British Airways really isn't that easy. The airline has the Western, rather than American, model for upgrades longhaul. Which is to say you'll only get an upgrade if your paid for class is full, and then upgrades are processed accordingly to a pecking order of elite frequent flyer status. You are very unlikely to ever get an upgrade unless you are at least an Emerald oneWorld member. Firstly, it's pretty important to be part of the Executive Club. BA don't seem to take you seriously otherwise, even at blue level. However upgrades only seem to happen if the plane is full in economy, and you have purchased a full fare ticket (although occasionally you can get lucky with a discounted economy ticket). When BA are looking to move passengers from economy, the check in staff will first look at Gold Executive Club members, and then silver level, then at other Oneworld members at the equivalent levels. Note that this is different to the system used on American airlines, where passengers with Frequent Flyer status are upgraded if there is space in a premium class. Be warned that although at checkin other Oneworld member status is recognised, BA systems are quite primative - only QF and BA status shows up on the boarding pass stub that you keep, or on the passenger manifest! The Cabin Service Director gets a long list of those with status - but only BA and Qantas status shows up on this. If you plan in advance, book on the fullest possible routes (Friday evening is a good one) and make it clear you'll be happy to accept a place on the Vol-Off list (to be offloaded voluntarily) if you get cash and an upgrade on the next flight. You'll have to hang around the gate, and look keen. You'll get a £10 voucher if you're unsuccessful. However if you can find something to complain about, do, and then ask if you can get on the "on-availability upgrade" list. Then make sure you're on the emptiest possible flight - if theres a spare seat in the front of the plane, you'll get it. Often customer relations (Media Services, or Special Services) will promise to put you on this list, but the check-in staff are so busy they won't notice. Make sure you point it out to them - for this reason it is vital to make you you do not use OLCI or the automatic machines. Instead go up to a manned desk. At LHR staff will often pick up a note about this from your PNR, however at some outstations you need to find the Duty Manager or Supervisor, because they do not add upgrade requests to the system and keep them on file instead. If all else fails, you now will only get an upgrade by bugging at the Gate. Wait just by the gate, see if you can overhear a Club passenger "no-showing" and then ask if you can have their seat. As always, my advice on dressing properly in how to get an upgrade applies. NEWS: The checkin-upgrade procedure has now been implemented at most airports, and there is now a new desk at London Heathrow T5 specially for this. Of course there is one guaranteed way to ensure you get to sit in the comfy seats up the point end - pay for it. However if you want to take a gamble, and yet you are willing to pay something - but not the full price - for your upgrade, you can upgrade at checkin or onboard. The exact procedure for this - and cost - varies wildly according to airport, and outstation. Procedures, vary, as below, and you must know what you are asking for before you plan your flight. This is a rare procedure, and many checkin staff are not aware of it, either from the UK, and certainly not at outstations. If you are flying shorthaul in Euro-Traveller on flights from London Gatwick & Heathrow on mainline BA services, upgrades are available at checkin for £59. You can sometimes also upgrade your flight before checkin via MMB and the upgrade option, however this is unreliable. If you upgrade via MMB you get full Tier Points, but not if you upgrade for £59 at LGW checkin. You will always gain lounge access. This is an incredible bargain. At an exceptionally limited number of outstations (like Dublin) to London Gatwick you will get a flyer offering upgrades for £75. These are even cheaper than those from LGW, but here you do not earn any extra Tier points, unless you retrospectively claim them. You can also get upgrades at check in to Club Europe at outstations on flights to London if you ask for it (although only 5 people per flight are offered this - normally Gold Executive Club members). At ALC, AGP, MPL, GIB & FAO it costs £60 per upgrade, while at TFS, RAK, PFO it is £75. All other flights are £100. (This is not available on the rare A321 flights to ALC, FAO, AGP, PFO or RAK). This is an absolute bargain, and should always be taken at all costs. It offers full lounge access, the Club Europe seat and meals, but no tier point and mile bonuses. If you are a complete cheapskate and insist on sitting in Euro Traveller, you can buy the right to sit at the doors 2 and 3 exit seats on the A321 for only £20, but it is a waste considering what else in on offer. At checkin From the UK at LHR often they will direct you to the ticket office, which will result in you having to buy a new full revenue ticket - this is not what you want. Instead ask for the supervisor, who is aware of this procedure, or got to the new landside 'upgrade' desk at LHR T5 at Zone E, or airside at Flight Connections and at Customer Service South. These checkin upgrade tickets are around £150 for World Traveller to WT+ longhaul, or £399 for WT+ to Club World. They earn full miles & tier points (but you have to retrospectively claim them), however there is a gamble that seats may not be available. You can also book these upgrades before travelling, and fare bucket (I, D, C) does not affect flexability, which then locks you in to those flights, and wipes out the previous flex available (i.e £30.00 plus any fare difference) on the old economy ticket. At checkin From the Americas there is an official airport upgrade program, which most staff know about. Absolutely no tier points nor class of service bonus is given, however Club World can be as little as US$400 from WT+. Longhaul upgrades are now on offer from economy. One way upgrades on long haul flights to World Traveller Plus costs £150 each way, and fare bucket (I, D, C) does not affect flexability, which then locks you in to those flights, and wipes out the previous flex. available (i.e £30.00 plus any fare difference) on the old economy ticket. This is available before checkin on some flights, via the MMB screen. Another route is to actually get on board, and then ask for the CSD (Cabin Service Director), for a paid for onboard upgrade. This is cheaper, but you need to get on in sufficient time, and the CSD will have to check that there is sufficient catering on board. Some crew are unaware of this process, as it is very rarely used. Ask them to check for a brown envelope marked "Voluntary Upgrade Pack". In it is a manual explaining the process, which starts with the memorable line "This process is only to be used as an absolute last resort when a passenger insists on, and pays for, a cabin over the one they have booked". You will be handed a BA form letter, explaining that you should have booked a better cabin to start with, and a blue upgrade slip. As this is processed as a duty free payment, you do not earn any extra tier points via this route, unless you retrospectively apply for them. Send your blue upgrade form into the Executive Club, and eventually you will earn the full miles and Tier points. However if you are using this trick, it is vital that you do not put your cheap economy flights onto a Qantas card - this will be picked up at the retrospective stage, and you will loose the upgraded points. Do not use this system if flying from Gatwick. Instead you should use the cheaper £59 upgrade (see above) which also gives lounge access. On BA the transition from Blue to Silver and Gold status in the executive club can be anything but smooth - and if you are EuroCheating, it is vital to know the stages. Firstly, it may take 3 days for the points to be transfered. These appear in your account at about 4am two working days after the flight (if you are not on a BA flight). Then, when you magically hit the 400 or 800 points mark, instantly, your 'counter' on the right hand side will say your new status, but the status at the top of the screen will stay with the old status. 24 hours later, again in the middle of the night, your top of screen status will change. At this point you can move country again should you need to move back out of the EU, however you can only move back to the UK, not to another country. However, if you go into order items, you will only be able to order replacement cards and bag tags with your old status, and here your 'upgrade order' status will say pending. Finally, another 24 hours later, you can order a new bag tag. British Airways has a tradititional problem with Industrial Relations, which occasionally manifests itself in strike action. For the past three years, this has traditionally taken place in August. While only the very pesimistic would avoid flying at this time due to the possibility of action, it is wise to be aware of the problem. If there is a baggage problem, passengers who are members of the Executive Club, are being offered 12,000 miles as compensation (or 25,000 for Silver members, 50,000 for Gold. This is raised to 100,000 for those that complain by letter). 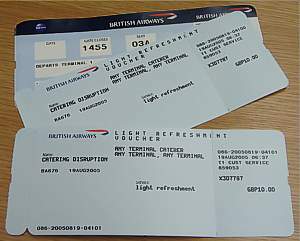 BA will often waive restrictions on rebooking non-flexible tickets as well. There is no lounge at Terminal 5 C - so if you are in club, BA have arranged a deal with Starbucks. Just waive a Club boarding pass, and you get 15 pounds worth of free food and drink at TC5. You can stock up on coffee, juice and food for lunch, as the breakfast served in CE is often very poor quality. Zone R is a completely separate area for BA's Premium Passengers and Oneworld Frequent Flyers who have international flights departing from Terminal 1. It's pretty hidden away, so if you don't know it's there, you won't find it. Walk towards the far end of the main check-in hall passing all the Aer Lingus, bmi and Cheap British Airways desks. Then head towards the right as if you are leaving the terminal, heading towards Terminal 2 and there is a small sign for Zone R.
It is a far better experience travel experience, with fast check in and a dedicated security check-point for the area which gets you airside and to the lounges quicker. If you fancy a stopover, book it via the website. Typically you'll only pay the extra taxes for an extra departure - even if your "stopover" lasts months. Its a great way to get a round the world ticket for peanuts. NEWS: British Airways will now not let you book a seat even if you are a Gold or Silver member, if you are on a handbaggage only fare. British Airways now offer a feature to allow you to check, and change your booking online - so long as you booked it through BA.Com. This is Manage My Booking. You can also (via a convoluted process) add bookings made by Travel Agents. Silver and Gold Executive Club members can also use MMB to reserve seats in advance, but other passengers cannot reserve seats until check-in. You do however get a chance to book seats at online checkin - 24 hours in advance of your first flight. For Club Europe there is no pre-seating on flights between London and Jersey or London and Dublin, and there is no pre-seating on CitiExpress services to Paris Charles de Gaulle, Amsterdam, Luxembourg, Brussels, Jersey and Dublin. To reserve a seat go to the Manage My Booking (MMB) section of BA's website by entering your reservation code and your surname, then click on reserve a seat. This page will take a long time to load if you are on a dialup modem. Then (counter-intuitively) click on the seat that is already reserved for you, before clicking on the seat you would like. 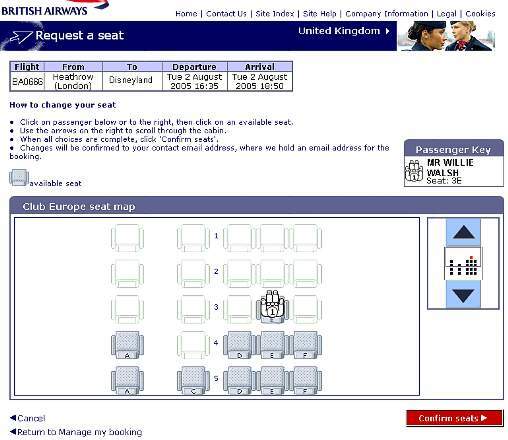 It is well worth while doing this, as often BA will sometimes put ClubEurope passengers in the dreaded middle seat on the right. If you use MMB to select seats, there are some seats which are actually available, but which are blocked. These are generally bulkhead or exit rows (where the checkin people like to actually make sure that you can really help in an emergency, and are able bodied). Gold members of the Executive Club have a better choice of seats, with Golds able to pre-select Row 1 in Club Europe, and the front seats in First. However, if you are on a handbaggage only fare, you now will not be able to book any seats, at all. Your seat (normally a bad one) is allocated at check in, and you will not be able to change it even then, without having to pay a fee. You can checkin online for your flight up to 24hours before it departs. Infact, you can extend this time - and jump the queue to get the best seats. Travelling on a through ticket originating from a link flight to a main hub (such as EDI to LHR, before LHR to LAX) offers an added benefit when it comes to using online check in (OLCI). You can check in for the subsequent connecting legs of a trip at the same time as OLCI opens for the first. 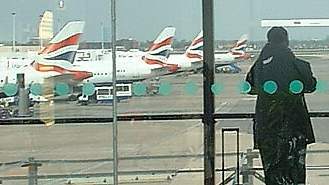 The rule applies to all BA itineraries involving a connection purchased on a single ticket. Note however you can only OLCI if your ticket number starts with 125 (BA Issued), and not 001 (AA issued). A number of companies used to operate BA flights under a franchise: however these were all removed in 2007. One has ended up in the hands of Easyjet. Gibraltar Airways was British registered as GB Airways. It was an A320 series operator. It flew of course to Gibraltar from Heathrow, along with Casablanca Tangiers and Marrakech, and to the central & eastern Mediterranean from Gatwick, including Alicante, Ibiza, Gran Canaria, Palma, Tenerife, and Dalaman in Turkey. British Airways has now sold BA Connect, a year after launching it. It has been bought by Flybe. It was a low cost offshoot flying to airports around the UK - essentially the remnants of the franchise operations run by independent companies City Flyer Express and British Regional Airlines. Other offshoots of BA included BMED, born as British Mediterranean in 1994 with a single A320, flying five times a week between London and Beirut. It is now the mid-haul section of bmi. It flew out of Gatwick, using eight Airbus A320, to 16 destinations, mainly in the Middle East and Central Asia. If you want to fly in Business or First Class on BA from London to another destination, don't fly from London. It sounds odd, but British Airways normally prices flights originating at key European hubs much less than for flights departing London. Yes, that is even though they include an extra flight, to get you to Heathrow in the first place! The reason is clear: the airlines are trying hard to undercut each other, but at Heathrow BA is dominant and can charge what it likes. But at some other hubs KLM, Lufthansa or SAS are the main players, and BA is trying to make inroads. Therefore prices are often less than half the price if you are prepaired to make an extra journey outbound. The costs - and hassle - outweigh the savings in economy, but in First Class you can save thousands of pounds. It is easy to book these tickets - just do so online, with a UK credit card, and then check in online. However, some provisos. You cannot just forget the first sector and start in London. If you miss the first sector, you have to throw away the entire ticket. Equally, don't leave your connection too tight at the outbound either. You may get held up at immigration or customs (who will ‘flag' you if you are only in the country for an hour or so, particularly at Istanbul) or BA may even query your ticket at the gate, and want to check it with ticketing. These would cause you to miss the outbound, with the same result: your ticket will be cancelled, without refund. Another trap is that if you stay in London for more than 24 hours on the outbound, from your ex-EU to your intended destination, the full weight of taxation will come on your shoulders: the APD (Air Passenger Duty) extra you have to pay can out-weigh the savings. However you can stay in London for longer than 24 hours on the return, and you'll only have to pay the short-haul APD (which is much less). BA are now picking up on passengers who 'drop their last sector'. There is a warning printed at checkin that if you do so (or rather, don't check in luggage to the last point) you'll have to pay extra charges, which could be the cost of a one way EU to UK, and then the full fare from London to where you wanted to get to in the first place. However the perks are great: you can normally save about 50% off the fare if flying from some destinations. Dublin is great for hops to North America. Amsterdam works for Japan and Asia, while Istanbul and Oslo offer great discounts to Australia. The ‘Oslo Bint' is a term we've coined at Airreview for a firm favourite of ours, flying ex-OSL to Australia. The cost is typically only about one third of the price compared to flying from Heathrow in Business Class, and the fare offers great perks such as having a semi-flexible fare. Two proviso: you should book when Norway is having a sale. This is normally in early January. Also, don't backtrack or go near Japan, or the cost doubles. The biggest perk is the flight allows for 5 transfers in each direction: 2 in Europe, and three in the south west Pacific. The European transfers are hard to use, but you can happily find OSL-LHR-HKG-PER-SYD-AKL and reverse for less than 2 grand. With the SYD-PER/HKG stops being over 2000 miles, these bring in 140 Tier Points, and so the total trip nets 1000 Tier Points. Which is a useful start to Gold, and already nets Silver. This fare is bookable via the BA website, but it frequently fails to find the best connections. You can book it - with a lot of trouble - on Expedia, but you have to do so via the multi-city function, and adjust the time of depature to force it to find the flights you know you want. Or, you can do so via the BA Call Centre. However, take great care if you book it over the phone: often BA select the wrong flights (check the PNR when it is being built on checkmytrip.com), or can't find the flights you know have I class availability: if the price rockets, you know they've slipped in an R class somewhere. Finally, make sure you pay the UK ticket office in GBP: sometimes they will convert the price from NOK to EUR and then again to GBP, and at pretty poor exchange rates. You really don't want them to do this, or much of the savings will be lost. BA's website is one of the best. But you'll need a pretty hot computer to run it. Slow loading (particularly on a dialup connection) it does however come packed with all the really useful stuff you need to know. Alas, it's a little buggy, and sometimes you want to swear at it - particularly with the latest revamp - which has some bits that just don't work. One great feature when booking is you can see the fare in each direction, the lowest fare on that day out of the selection of flights, and fares for up to 7 days in each direction. So all the tedious research typing in a number of dates and times is gone. Alas, at one point you could see the entire month - this feature has now gone. The website keeps on undergoing continual revamps, and one of the latest is to let you book different class levels on different legs, so you can for example travel to SYD from LHR in World Traveller, and have WT+ on the LHR-SIN section. When you get to the final booking option you can click on the "upgrade each segment" link. The UK section of the website will charge you for using a credit card - other "country" sites will not. Information on www.newclubworld.com, the latest variant of Business Class.